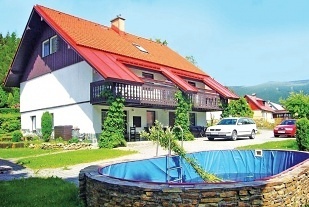 Rental cottage Giant Mountains (Krkonoše). 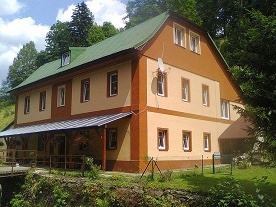 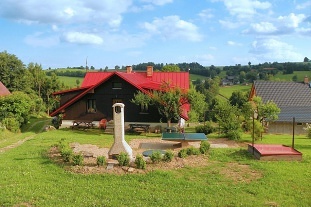 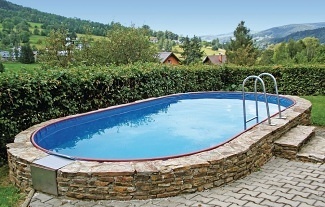 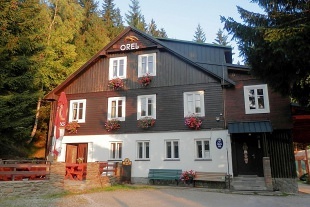 Rental cottage Sněženka - Benecko, Krkonoše. 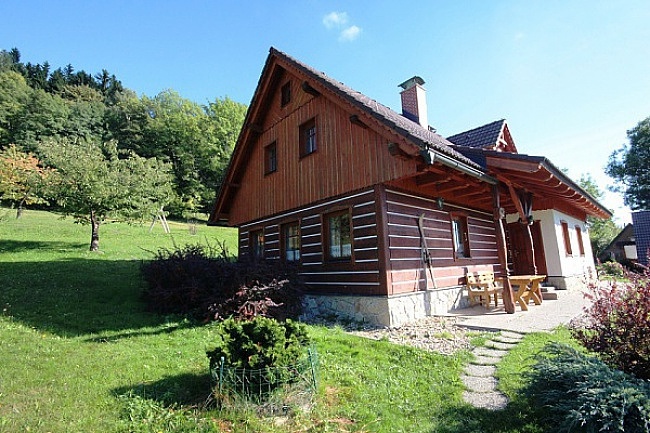 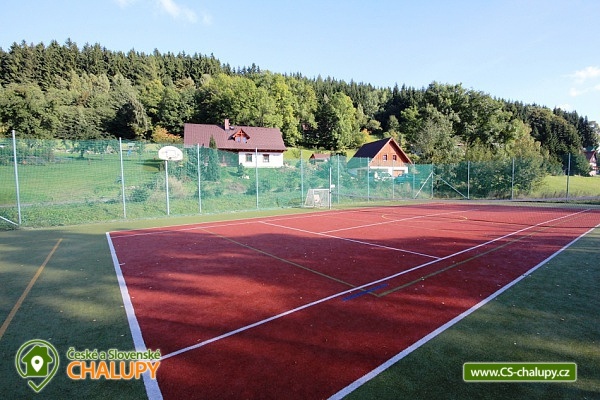 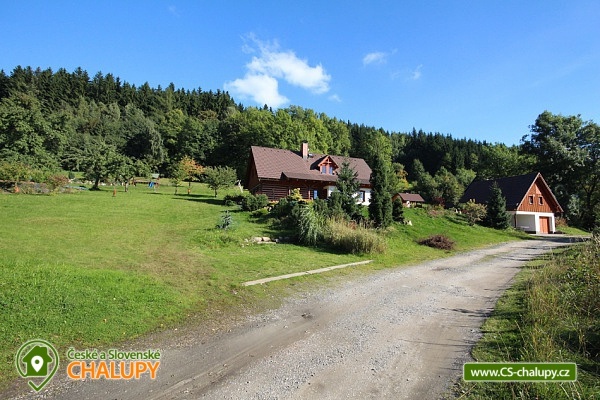 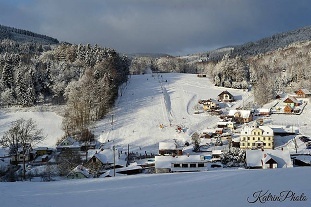 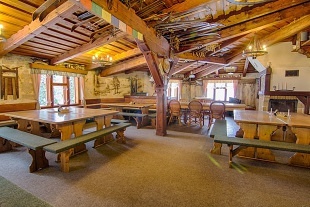 Chalet Sněženka is a stylishly furnished holiday cottage situated in a quiet recreational center of Benecko in the center of Krkonoše. 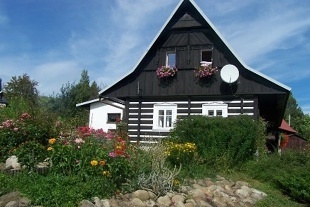 The semi-comforted cottage looks like a fairy tale, and the surrounding countryside is part of a fairy-tale corner of the Giant Mountains National Park. 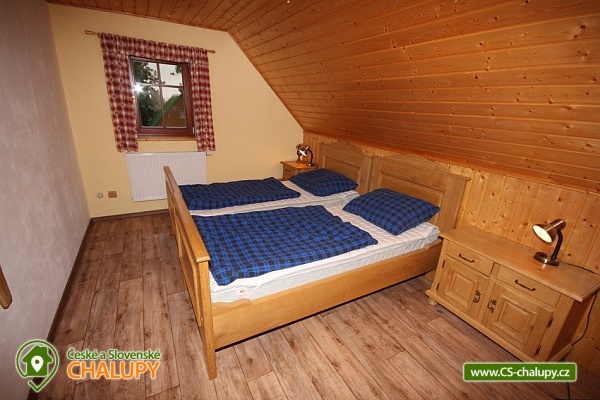 The spacious cottage's furnishings are stylish and provide utmost comfort and convenience. 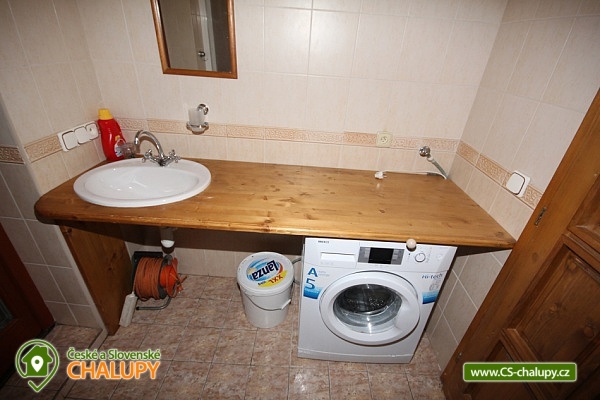 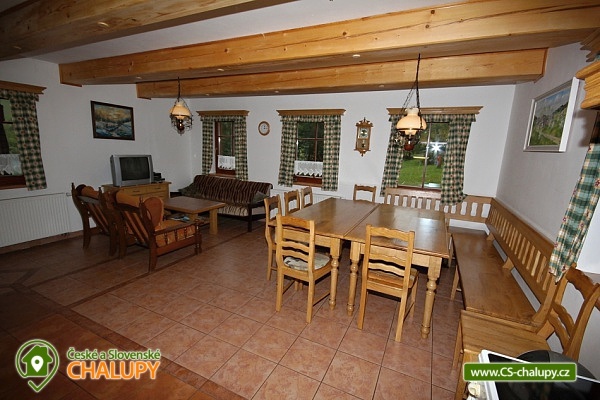 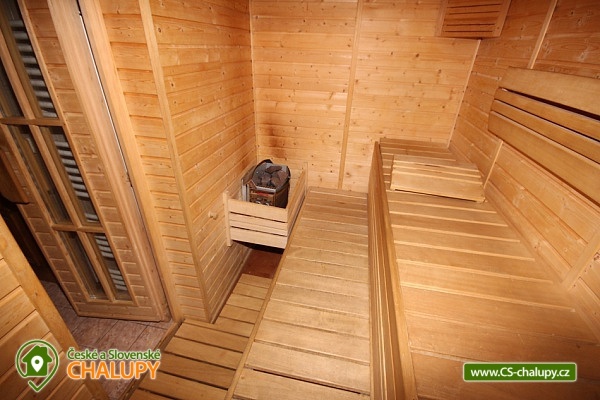 Available living room with well-equipped kitchen, 5x bedroom, 2 bathrooms, 3x toilet and sauna. 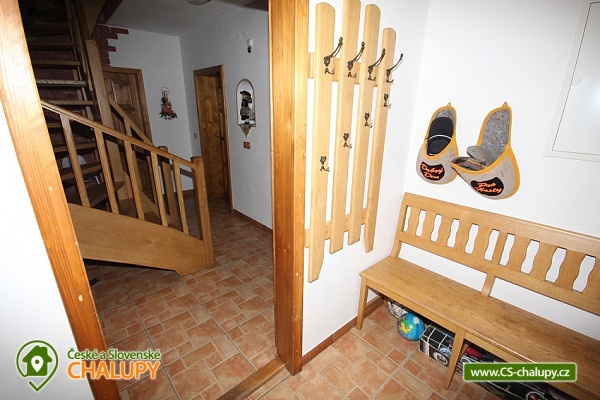 On the ground floor of the cottage there are 2 bedrooms, each with 4 beds (always a double bed and a bunk bed, in one bedroom a cot). 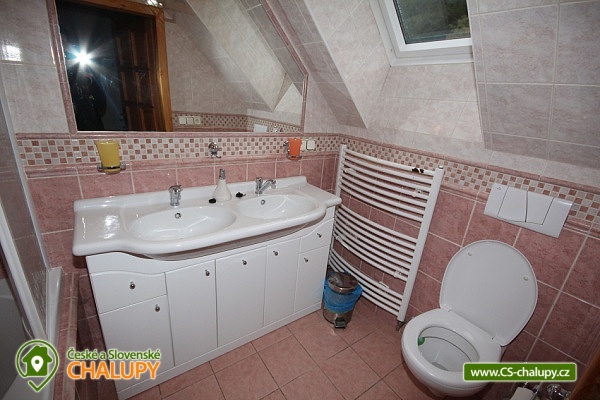 On the upper floor there are two 2-bedded bedrooms (one with a double bed, the other with 2 single beds), a large bedroom (double bed, 3 single beds and 3 extra beds on the bunk in the attic). 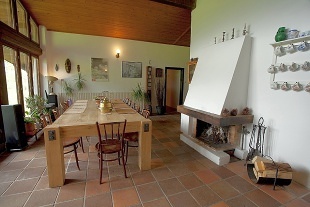 The furniture in the cottage is mostly made of massive oak. The building is heated centrally. 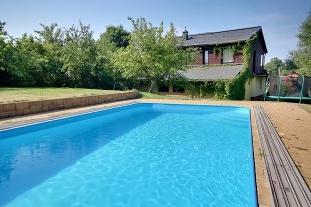 The cottage includes a large plot of land facing the southwest, which provides plenty of sunshine. 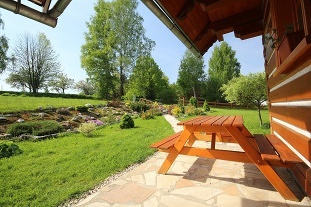 Southwestern bedrooms have a balcony door leading to a sunny terrace and a garden. 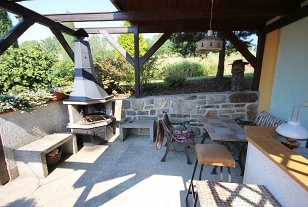 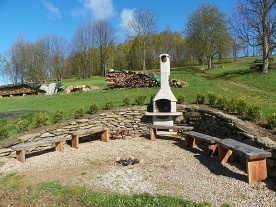 There is an outdoor sitting area with fireplace, children's gazebo and sandpit. 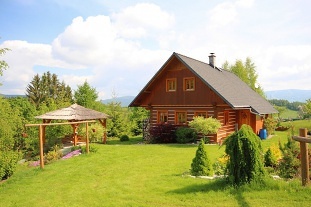 The immediate proximity of the forest and higher altitude is a guarantee of clean mountain air throughout the year. 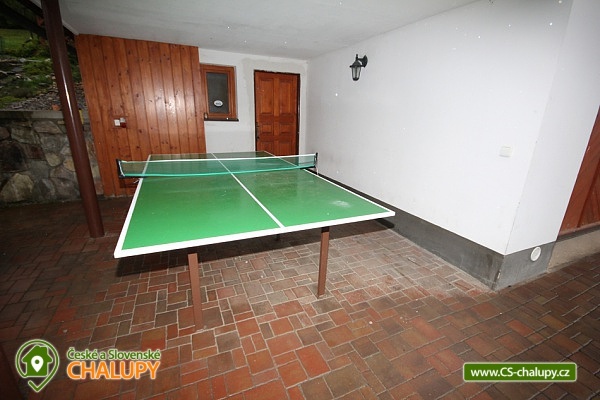 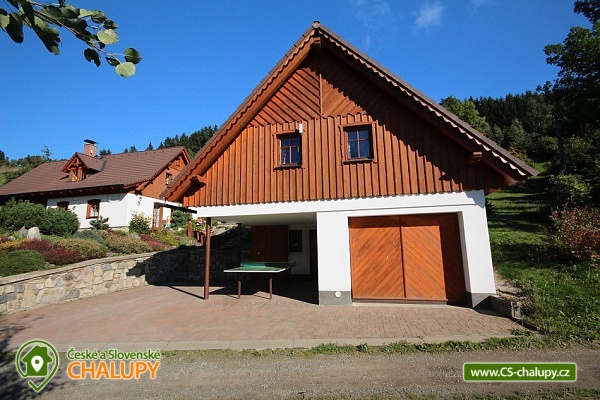 Part of the cottage is also a separate garage, roofed and other technical facilities (ski / bicycle shop, workshop), where you can rent a bike for cycling and table tennis equipment. 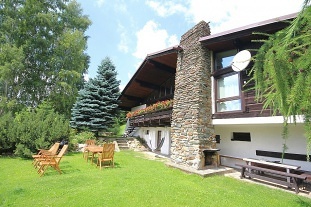 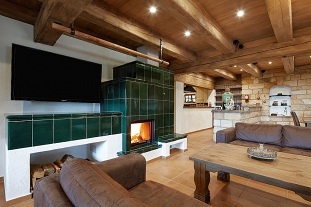 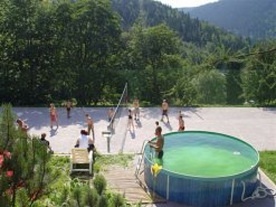 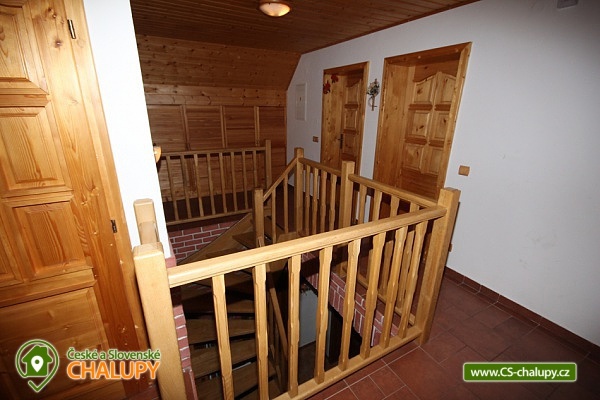 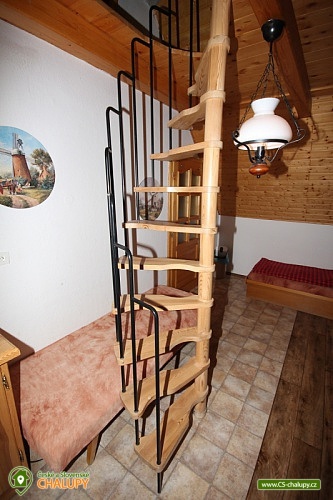 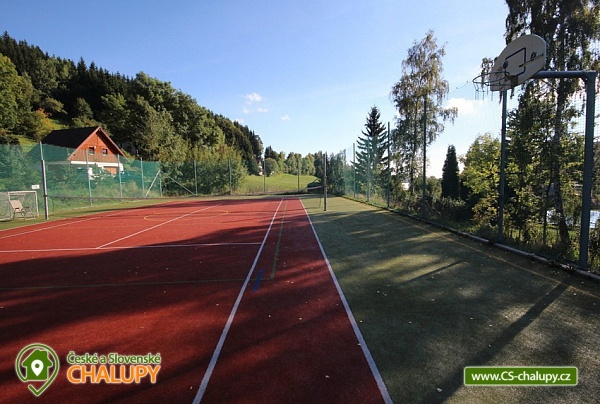 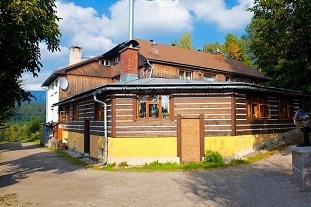 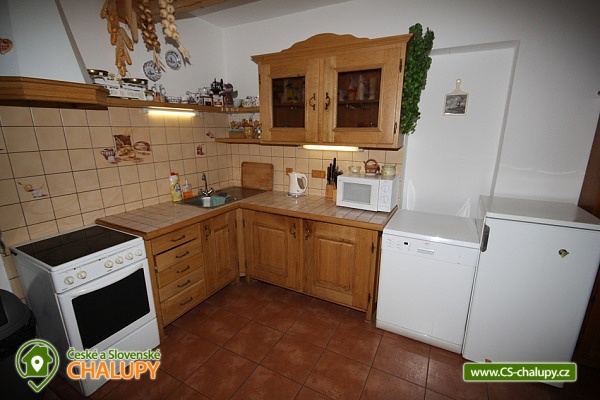 The property is suitable for hiking, cycling and skiing. 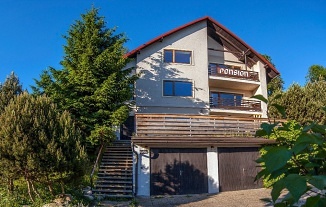 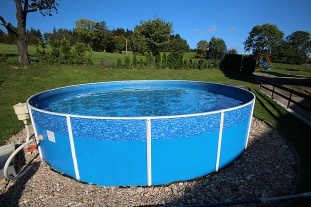 Additional information Použití sauny možno za poplatek 500 Kč/týden. 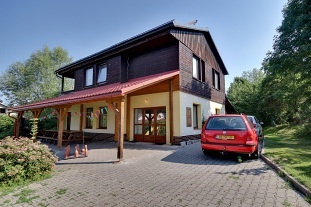 Lůžkoviny a horská kola jsou poskytovány v ceně pobytu.